Hello everyone! Today is the start of a new challenge at Paperbabe Stamps and we have an easy one for you - ANYTHING GOES! As always, you can win a Paperbabe Stamps Gift worth up to £20! First I wrote the numbers, days and May word then I created my scene. I stamped a rabbit from Whimsical Woodland Set 3, 2 birds, a mushroom and the big butterfly from Set 4, and used the branch from Set 2. I also added 2 little butterflies from the Butterfly Pieridae set. The rest (flowers, grass, stems, leaves, frame) is doodling, done in different Copic multiliners. It was great fun to do! 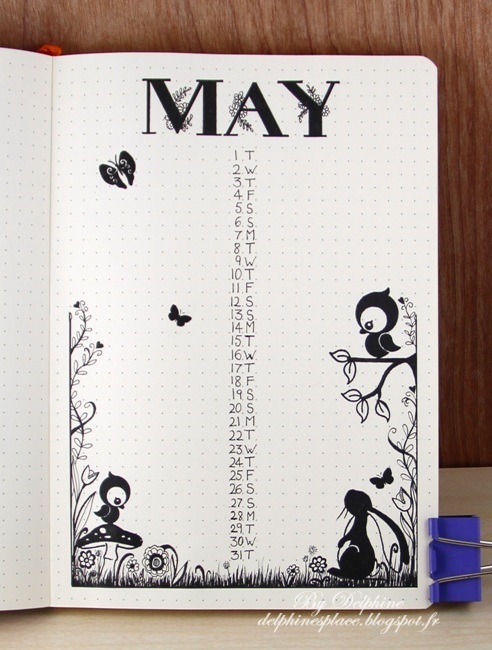 What a clever way to use the whimsical woodland stamps Delphine, they look amazing stamped in black against your superb diary page. 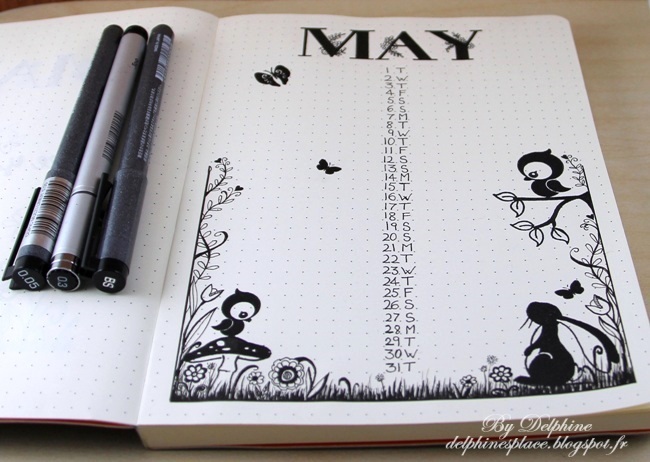 So creative how you have personalised it with your magnificent doodles. Amazing! !